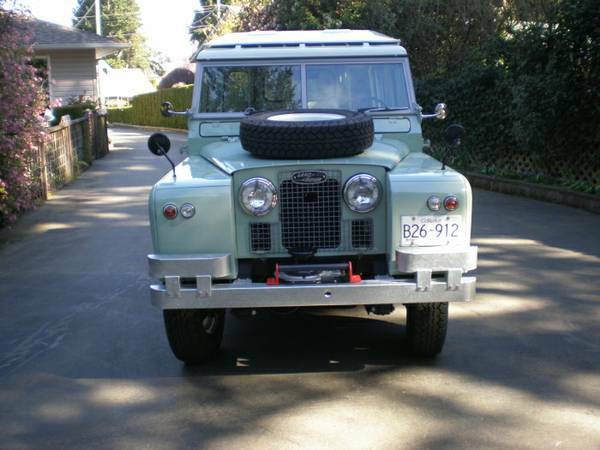 Found this one completely restored example of the British all terrain truck being offered for sale in Craigslist located in California, is a right hand drive model fairly cool flat bed body styled. Originally made for Australian user, had a total of 3 owners since new and now it ready to go with Texas registration. As shown here is 1963 Land Rover Series IIA 109 pickup truck has been totally restored since 3 years ago looking for a new home in US. If you're interested come to see is a must. 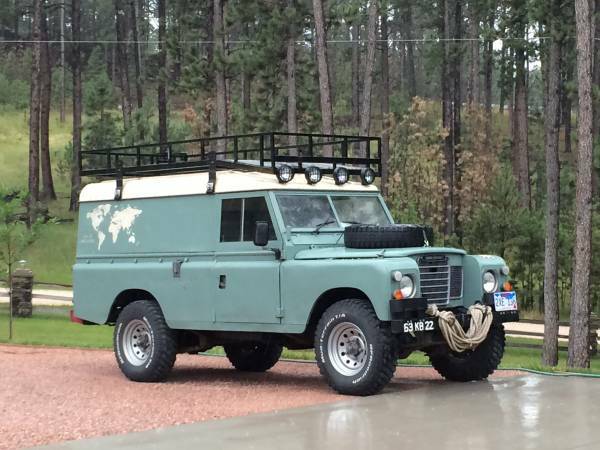 Here found this one at Craigslist, nice classic off-road setup based on the British all-terrain vehicle that was looking for a new owner. As shown here is a 4x4 long wheelbase of the Series 3 Land Rover commonly known as Defender built in 1983 fitted a trailer was retired of the Royal Army service. Right hand drive truck powered by diesel paired with 4-speed manual transmission was imported from England directly. The appearance look tease and is said good condition overall, but is not perfect still restoration needed of some parts, it has underneath rotten and few hole shown at body. The interior look fine, it was pretty good for avontur class. Despite the engine is not original specs it has been converted to non turbo diesel in England, however it still remains tough. 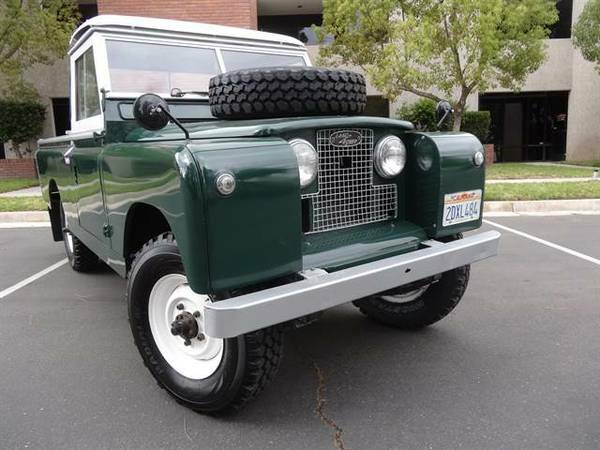 Here's found this one nice restoration example of the British truck, was listed in Craigslist for $35000 located in San Diego, California, is a rare truck in US that was made by British all-terrain vehicle manufacturer Land Rover. 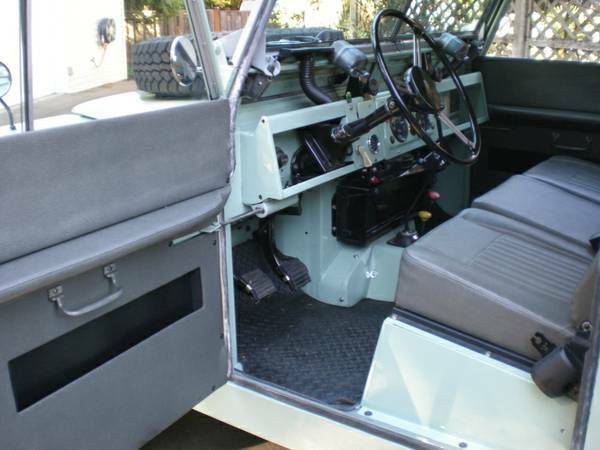 As shown here is 1962 Land Rover Series IIA 109 pickup truck has been fully restored and rebuilt. Despite is a short ad with very less information and no detail, it enough to make me so curious. Outside the engine, all photos provide a convincing look inside and out and the seller claims is in excellent condition with 15905 miles on it. If you're interested, come to closer inspection is a must. 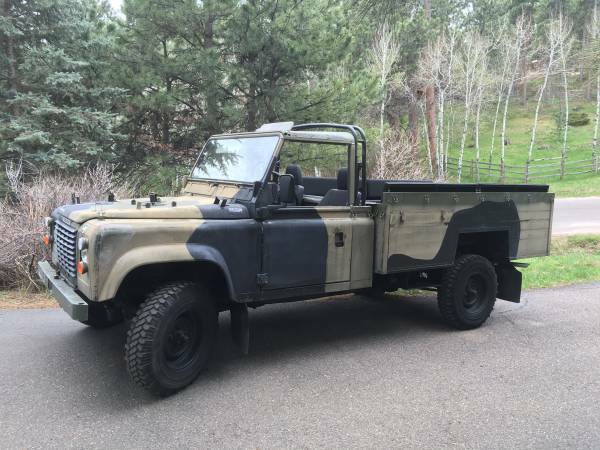 Here's a retired British military troop truck based on a rare series of Defender. As shown here is utility line-up 1990 Land Rover Defender come with 127-inch wheelbase vehicle designed to accommodate larger and heavier loads than the 110 model, usually use by utility and electrical companies in mind, as well as military usage. Found this one was offered in Craigslist about a month ago, and still online when we write here, asking $35000 located in Colorado. 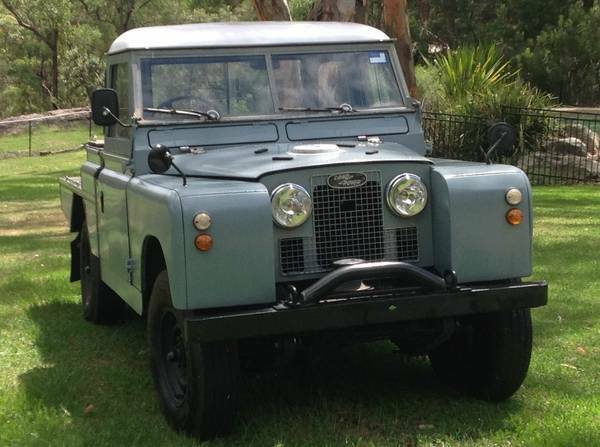 Land Rover 127 Rapier Defender LHD is said good condition, seems still in original, powered by V8 engine only 96000 km or about 60K miles on it. The seller claims is one and only 127 Rapier in the US. 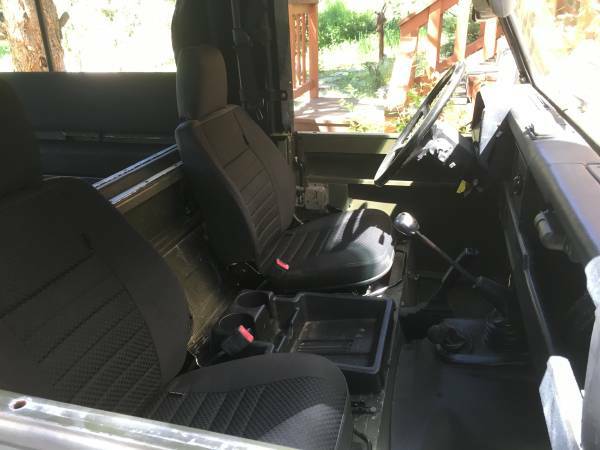 As usually a military vehicle, the interior no has extra mildness all looks strength, spartan and functional. Unfortunately no engine photo was included on its ad, if you interested come closer inspection needed for accurately condition. The Land Rover, here's the icon of British off-road vehicles whole of world knows that name. As shown here is the Series II built in 1959 came as a short wheelbases generally known as 88 model has been totally restored by swallowing about 6 years process. There’s need nothing to be done on this one, that’s reflected in the price, and already listed in Craigslist about 28 days ago, still available when we writing here, located in Qualicum Beach, BC. The inside looks pretty decent, as with many early utility vehicle, the interior features lots of painted metal not covering by carpet. Seats are nicely upholstered in grey vinyl and all looks been neatly finished rebuilt. Is said like new condition, only about 800 miles on it since rebuild done. 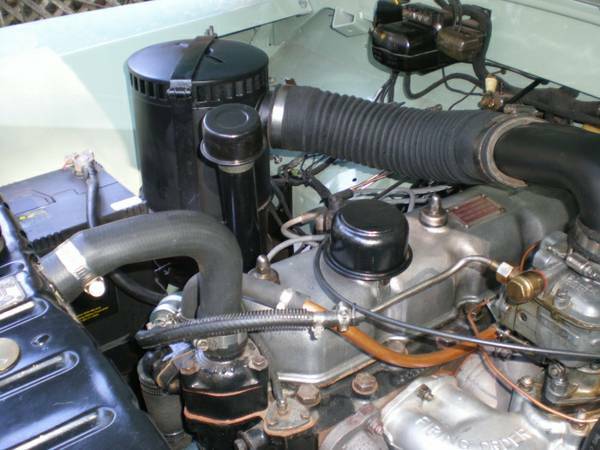 As shown here is a 2.25 L straights-four gas engine with 4-speed manual transmission. The owner says the truck drives and runs beautifully.